ometimes the best little escapes can be found right in your ‘own backyard’ and such is the case with a recent trip up to Amelia Island. You can pack a small bag, hop in the car, drive for a couple of hours, and find yourself in a beautiful, peaceful, quaint little town, being pampered by Bob and Shannon at The Addison on Amelia! The inn is nestled in the historic seaside village of Fernandina Beach. The beautiful, elegant Amelia Island, Florida bed and breakfast consists of three antebellum-style buildings surrounding a central courtyard containing fountain, lush gardens, and brick pathways. Staying on the road to safety may be harder for many elderly drivers than they realize. The Danger According to the National Highway Traffic Safety Administration, senior citizens account for only 9 percent of the population but almost 14 percent of fatal traffic accidents. As people age, their driving patterns change. Retirement, different schedules and new activities affect when and where they drive. Although most older adults drive safely because they have a lot of experience behind the wheel, when they are involved in crashes, they may be hurt more seriously than younger drivers. Many see driving as an important part of staying independent, and people 70 and older tend to keep their licenses longer and drive more than in the past. everal years ago, I sought my party’s nomination for our district’s congressional seat. As is often the case in local primaries, we were operating on very scarce funds, and I did a lot of my own leg work. One afternoon I was placing road signs at high visibility corners. It was hot, dirty work. I often had to dig a hole for the stake, or drive it into dry, hard ground. Dressed in an old shirt and Bermuda shorts, sunshades, and a cap, I was soon wet with sweat. ver the year people have come a long way in dealing with breast Cancer. Check out this timeline. Early 1950’s—The NY Times refuses to publish an ad for a breast cancer support group stating that it would not print the words breast or cancer. 1969—The modern mammogram is invented. 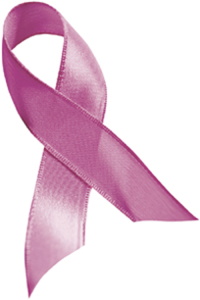 1970’s—The standard treatment for breast cancer is a one-step surgical process in which a patient is put under anesthesia for a biopsy and, upon a positive result, is immediately subjected to a radical mastectomy without consultation. ith over 12,500 American’s turning fifty every day, it’s no surprise that by 2017 those aged fifty and older will represent fifty-five percent of the population. With facts like that, there has never been a greater time to learn about the decisions that need to be made as Americans age. 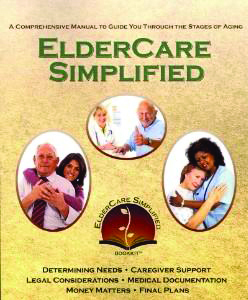 A simple and easy-to-use guide filled with resources and checklists, this invaluable new manual provides readers with all the essential information needed for seniors to navigate the processes and decisions that come with aging. The guide also serves as a fundamental organizational tool that communicates all personal information and relevant wishes in a clear, concise, and simplified format. A perfect tool for seniors, veterans, the disabled, and their caregivers. top for a moment and think about what you fear most. Is it health related? For you? For a loved one? Maybe it has to do with the heart. Heart disease is the number one killer of women1 and is more deadly than all forms of cancer combined. In fact, it is estimated that heart disease kills approximately one woman every minute. Women may experience symptoms differently than the more commonly known symptoms men do. What if there is a way to know whether you should be worried? Would you want to know? The first step is learning. Learning how to recognize signs of heart disease and one of its most common forms: obstructive coronary artery disease (CAD), which causes one in seven deaths in the U.S.2 Encouraging women and the men who love them to get the facts about the symptoms of obstructive CAD. he winter season and the be-ginning of a new year is often a period of reflection for many. It’s an ideal time to take a step back and evaluate your goals, choices, priorities, career, and relationships to determine whether you are truly happy with the life you are living. By focusing on what needs improvement and reprioritization, you can ensure 2016 is both meaningful and aligns with your passions and purpose. This is critically important given the numerous studies that have shown the health and well-being benefits of discovering and living with a sense of purpose. In fact, a 2013 study titled Purpose In Life And Reduced Stroke In Older Adults, led by Dr. Eric Kim, Ph.D., research fellow at the Harvard School of Public Health, found that those living with purpose lived healthier, longer lives. nowing a few facts about the wear and care of your joints can help you take steps to keep them healthy. Healthy joints have cartilage, which acts as a spongy shock absorber on the ends of the bones so they don’t rub against each other. When you don’t have enough cartilage, you can have pain. ith multiple doctors and specialists, a variety of dosage instructions and an alternating schedule of refills, managing a medication regimen can be daunting for anyone, especially seniors—but heeding a few hints can help. id you know that nearly five children die every day as a result of child abuse? With that in mind, April is recognized every year across the country and right here in Volusia County as Child Abuse Prevention Month. That makes it the perfect time to remind parents, grandparents, guardians, caregivers, babysitters, educators, and all citizens that preventing child abuse is everyone’s responsibility. The U.S. Department of Health and Human Services estimates that approximately 679,000 children were victims of abuse or neglect in 2013—with more than 1,500 of the cases resulting in the death of a child. That same year, the Volusia County Sheriff’s Office received 124 calls of suspected child abuse. These statistics are both startling and heart-breaking. Part of the goal of Child Abuse Prevention Month is to educate our children about personal safety dangers and to emphasize to them the need to tell a trusted adult if someone touches them in an inappropriate way. Want the entire Seniors Today Newspaper sent to your email address every other Friday?